Dan Faggella is a talented Brazilian Jiu Jitsu martial artist and trainer. He started a gym in his hometown, then when he hit growth limitations combined with the unfortunate collapse of the roof in his building, decided to go online and sell digital training products. He began by recording his training sessions to create a product and then threw himself deep into the world of internet marketing. Fast forward to today and Dan is making $45,000 in sales per month online promoting a range of Brazilian Jiu Jitsu digital products, with a sophisticated email marketing sales funnel and segmentation strategy. This is a LONG interview – over one hour and fifteen minutes – where Dan breaks down many of the key elements that make his business work. If you have ever wanted to take your offline practice or service business and transform it into an online digital training product business, you MUST listen to this. Dan was very generous with his time and open to all my questions. As a result, we got to really pull the curtain back and see how Dan does what he does. During the interview, Dan talked about how he basically “forces” his subscribers to fill out a survey so he can discover the motivation behind why a person has joined his email newsletter. Using the data he gets from the survey, he can then send tailored messages to certain segments with special offers for his products. This has proven to be a very effective strategy, enabling Dan to convert many more of his subscribers into paying customers. There are some absolute gold nugget techniques in this interview. In particular pay attention to how Dan first got traffic to his new product (this is something I have never heard anyone else do, and I have done a lot of interviews!) and his email segmentation techniques to increase sales. 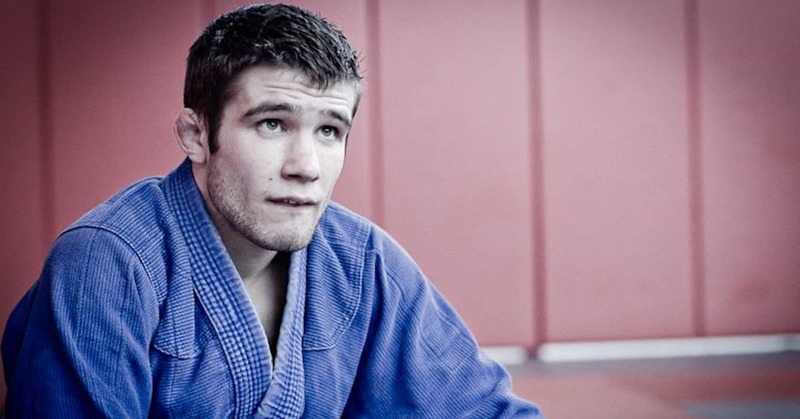 Dan explains how he became a Brazilian Jiu Jitsu figher and teacher, specialising in techniques for smaller people and how he opened a Gym to fund his university studies. Dan explains how he first created a digital product, then did interviews with top fighters and used them as a doorway to become a writer on many of the top BJJ magazines and blogs. I love how the Web makes it possible to share and scale our skills and to amplify our impact, the digital way. I like how you really pared things down to the principles that matter, and the unique techniques that made things work. I especially like the insight about the email segmentation and making it part of the onboarding process. It helps customers get more relevant information, and it helps the producer better segment and target their population, and fulfill their needs. That’s why it is said that do what you love to do but do it differently. Many people have skills and they can achieve a lot doing the same thing they love to do. It’s time time learn something from this post. No denying that email segmentation is a great way to get more personal with our customers. The more we’re personal with them, the more likely they’ll respond which is why with the different ways to segment email marketing, our favorite is based on interest group. We’ve noticed that tailoring emails on what picks their interest translate to more CTR at least according to our experience. This was among the best interviews you have created. Dan was enormously generous with his information and you had a real knack for seeing what the info was not focused enough and pulling the information out of Dan (and he was always willing!) There were many take aways here. Hey, Dan, I’m from Maine so I was really cheering my fellow New Englander along. Good work. You ought to be very satisfied and deservedly proud. Thanks, gentlemen! I consider myself fortunate that we live in an age where you don’t have to “code” to make a full-time income teaching your passion on the internet – I still can’t do any of that fancy code-work. Glad everyone liked the ideas about segmentation! Feel free to ask me Q’s, and a big thanks to Yaro for having me on to share some ideas with everyone. All the best! YAro, you often have really good guests, and you do push them to divulge their best stuff. So thank you for that. But, you’ve got this style, and this thing that you do that is patronizing. I have heard more than once, heard you dig your guests.. Like here, you make fun of his web design. Its not a big deal, but I could feel the energy drop out of the conversation. It colored the whole thing. Not sure if you’ve ever heard that before, or if anyone else here feels that. It could be just me. I am sure its not intentional on your part. Anyway, again- this is such a great resource, and I thank you for having Dan on. Never heard that feedback before Roger. I really do think Dan’s design on his sales pages is quite oldschool – that was a dig based on my real opinion! His main website is pretty good though. I figured it was just me. I prob. shouldn’t have brought it up, it just irked me at the time. But I will say again- the content was awesome! I do love how you have no reservation about getting your guests to explain their tactics in detail! Cheers. This interview SOUNDS amazing, but sadly as a Deaf business owner totally fascinated with email marketing AND segmentation, I can’t access the audio. 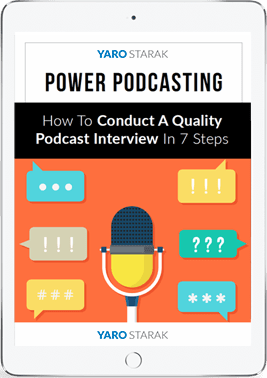 PLEASE tell me you have a transcript somewhere for us Deaf Biz Owners to benefit from this interview of yours as well? As I noted to you before – Am a huge fan of yours since 2004. I follow pretty much everything you do and encourage my Deaf Biz brethren to do the same. Thank you for your consideration, Yaro! My regular transcriptionist for these podcast was hit by the recent weather challenges in the Philippines, so has been offline and I don’t have a replacement yet. Sorry about that – I will add them eventually! Wow Yaro, THANK YOU for your response and thank you for the transcription! Awaiting update, thank you very much for making this accessible to all. Thank you gentlemen. This was one of the most comprehensive, detailed podcasts that ended up doubling as a complete “How to Maximize Efforts/ Get Your Business Going” course. I wouldn’t even say 101 on that; Dan talked about years of *experience* that he so generously shared! I think it’s so cool that he has a natural desire to share like an open book. It was such an honor to hear from someone open and not guarded (kind of unusual these days…for FREE!). A powerful take-away for me, were the three major goals of his subscribers. Even though they are coming from Jiu Jitsu interested peoples, I have a pretty strong feeling that no matter the market, the psychology is likely similar. 1. They are seeking improvement, or to enhance/refine their skills (in the area of your expertise/business) [customer after “how-to/DIY”]. 2. They are looking to learn, so much so, that they ultimately desire to teach the info themselves (regardless of method/platform) [customer after info regarding relevant topic podcasts/videos/posts]. 3. They are looking to get in the game and do [customer looking to replicate or model after you or your developed system]. The difference between 2 and 3 is, in 2), you are looking to *teach* the trade. In 3), you are looking to *be* the trade (or essentially a competitor). That’s an epic insight into consumer/customer behavior that can aide in any business owner’s marketing copy. So easy to listen to! Hi Sheree – mega thanks for that epic comment and your tweet too…and great insight on the three different types of people identified in Dan’s survey. I had not even thought of it like that as a way to apply it to any market, very clever extrapolation! I’m putting together my own survey which I will send out to my list so I can learn more about my people and send them more of what they want and less of what they don’t. I have to say I am excited to see how they respond. I am a touch doubtful about me fagella’ income stream. I looked him up via his YouTube channel and he has only 3000+ subscribers. Some of his videos (after a few weeks of being posted) still have under 2000 views. For someone who specializes in video production and teaching techniques I find it rather odd that his YouTube channel is not very popular and the interaction with subscribers is very low par. Just thought I would add that he may have mad 45k on a single launch maybe but not a monthly income. It’s good to be skeptical, however you should branch out your research beyond just YouTube. Dan SELLs a lot of video – most of his products are video, but as you will hear in the podcast (did you listen to it?) he drives much of his traffic by being a feature author at BJJ magazines and websites and doing strategic email joint ventures with other BJJ experts. Those BJJ videos you see on YouTube with millions of views might just be a partner of Dan, sending him a lot of customers. This is one of the pitfalls when trying to assess how well someone is doing if you just look at social media. There are many marketers out there in highly lucrative niches who don’t even have social media accounts – no videos, no podcasts, no blog. They might buy traffic or do JVs to get leads then make a whole lot more money than those people who appear to be successful because they have lots of video views or podcast downloads. In my experience those who are best at CONVERSION are the ones who make the money. Email me ([email protected]) for bank statements. No problems here, gents. If YouTube followership is the best indicator of monthly Rev, my merchant processor hasn’t sent me the memo 🙂 – but feel free to pop me an email for balance sheets. I have been defrauded by your site ‘science of skill’. I used my credit card to buy 1 video and received other not requested charges. Is this the way you make money? When can I get the DVD from?